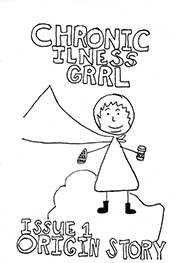 Download a PDF copy of "Chronic Illness Grrl Zine" - AND JUSTICE FOR ALL...? PDF is for print only. Posted with permission.